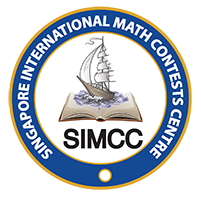 Singapore International Math Olympiad Challenge (SIMOC) is a unique concept of mathematics competition which not only tests your ability to solve mathematical problems on pen and paper but also tests your ability to work as a team to play interactive mathematical games and solve puzzles. SIMOC gives you an opportunity to compete with top mathematical talents from around the world and learn from each other as a team. Individual and team recognition awards are up for grabs. SIMOC consists of three categories: 1 individual written Math Olympiad Contest for grades 2 to 10 (Primary 2 to Secondary 4) and two team based challenges – Maths Warriors Competition and Mind Sports Challenge. Singapore International Math Olympiad Challenge © 2019. All Rights Reserved.